Research by dealer website Buyacar has revealed that new car buyers tend to visit three or more showrooms before handing over their cash, reports AM Online. According to the car buying website’s research, around 67 per cent of new car buyers in the UK visit three or more showrooms to make an informed decision about their next purchase. Of these, 33.5 per cent head to three showrooms, while a further 33.4 per cent visit more than three. Competition among car dealerships is high, so you should be offering extraordinary customer service to ensure customers keep coming back to your business. 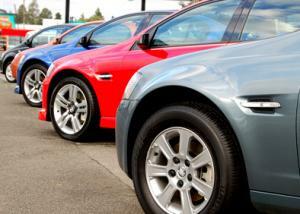 Therefore, in addition to your general motor trade insurance, you should also consider good demonstration insurance. The recent figures fly in the face of common industry knowledge, which previously suggested that average visits to car showrooms fell from 4.1 to 1.3 in the period from 2005 to 2011. Auto Trader also maintained that the figure had only crept up to an average of 2.2 visits in 2015. Furthermore, car dealership visits were revealed to be the preferred source of information for most of the 500 buyers surveyed by Buyacar (70.7 per cent). Next up was online reviews at 67.8 per cent, while online customer reviews lagged behind on 49.7 per cent. Austin Collins, the founder of Buyacar, said: “Dealers are clearly still the go-to source when motorists are researching their next car, topping the list of all information sources mentioned in our survey. It seems buyers remain keen to try — or at least see — before they buy.